Radio broadcasters may request a higher quality file of this interview. 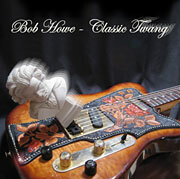 BOB HOWE …CLASSIC TWANG !! Growing up in England in the sixties, I would hear this Chuck Berry song performed on the radio by The Beatles. Around the same time I was lucky to be taken to see and hear the Birmingham Symphony playing Beethoven. It was all just good music to me, so it felt natural to combine all those elements in this track. It wasn’t an original idea to add the Beethoven, everyone from ELO to Australia’s own Hat Trick have done it before, but perhaps this is the first version to include a dash of Tchaikovsky for good measure (“…tell Tchaikovsky the news…”)? Around the same time I was learning clarinet and failing to apply myself to the lessons (belated apologies to the Reverend who taught me – the theory I learnt came in handy later though…), all the time wishing I could play this very tune. It was a huge hit for Mr. Acker Bilk in 1961, becoming the UK’s biggest-selling instrumental single of all time. In the following year it also became the first British recording to reach number one on the U.S. Billboard Hot 100. For my version, the clarinet remains firmly in its case while I play the melody on electric guitar and harmonica (a Lee Oskar A minor model). Caprice No. 24 in A minor is the final caprice of Niccolò Paganini’s 24 Caprices, and a devilishly difficult work for solo violin. There have been several guitar transcriptions of the piece and countless ‘Variations’ on the theme. 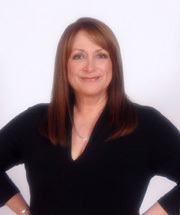 These include versions by Johannes Brahms, Franz Liszt and perhaps most famously Sergei Rachmaninoff with his Rhapsody on a Theme of Paganini. After my solo introduction on electric guitar, I tip my hat to Andrew Lloyd Webber (Variations for cello and rock band – 1977, later the theme to The South Bank Show and also the Dance part of Song & Dance) and to Benny Goodman and his big band (Caprice XXIV – 1942). Santo and Johnny Farina hit #1 Billboard’s ‘Top 40’ in September of 1959. 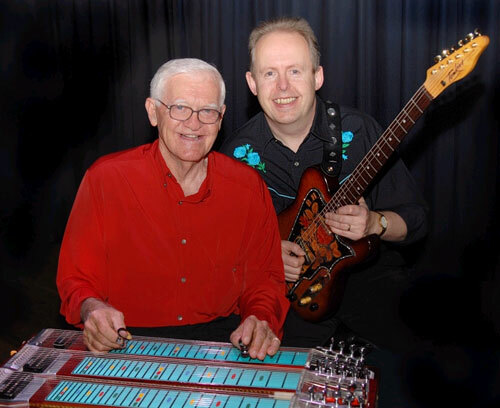 Santo played the melody on the Hawaiian steel guitar while Johnny provided accompaniment on a standard electric guitar. It remains one of the most identifiable and atmospheric instrumentals of all time and has been covered by everone from Chet Atkins to The Shadows and Larry Carlton to Joe Satriani. 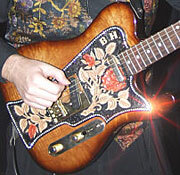 Brian Setzer won a Grammy Award for his version in 1998. Here I remain quite faithful to the Santo & Johnny version, but using a combination of brass slide and fingers on the neck of my guitar. Always one of my favourite tunes by The Beatles and part of the soundtrack of my life. Here I mostly reproduce the original double string quartet arrangement by their producer George Martin, but play the melody on classical nylon-string guitar and mandolin. The theme to Peter Gunn television series was composed by Henry Mancini and performed by his orchestra in the late fifties. At the start of the eighties it became known to another generation as performed by The Blues Brothers in their debut self-titled movie. 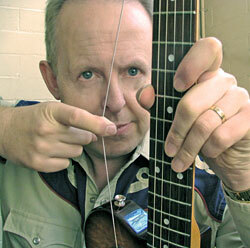 I take my inspiration from the 1960 hit version by Duane Eddy. Apparently Duane wasn’t so keen to record it as the distinctive twangy guitar riff was secondary and the saxophone (as played by Steve Douglas from Duane’s band The Rebels) gets all the good melody licks. Here I reclaim them for the guitar! The original words of Plaisir d’Amour(The Joys of Love) were written by Jean-Pierre Claris de Florian and set to music by by Jean Paul Egide Martini (a.k.a. Martini Il Tedesco) for the French court in the 18th century in his opera Annette and Lubin. The Elvis Presley standard Can’t Help Falling in Love is partly based on the tune. My first recollection of this song was hearing it on the 1961 album Joan Baez Vol.2 although she omitted a central interlude which I later learnt from working with the wonderful pianist and bandleader Raddy Ferreira. In 2006 I had the privilege of producing the album Wayfaring Stranger for my friend Emma Hannah. I was delighted to be able to include Emma’s exquisite voice on my version of Plaisir d’Amour. Yet another Elvis song, Love Me Tender, borrows its tune from a traditional source; this time the Civil War ballad Aura Lee – music by George R. Poulton and words by W.W. Fosdick. In contrast, Ashokan Farewell, the theme from the PBS series The Civil War was not 19th century music like most of the soundtrack, but in fact a contemporary tune composed by Jay Ungar in 1982. Legendary Australian musician Kenny Kitching joins me on this track, playing the dobro which he used on many early classic country music records. Symphony No. 9, in E Minor (From the New World) by Antonin Dvorák was premiered in New York in 1893. The theme from the second movement, Largo, was one of the first tunes I learnt on the clarinet, but here I take my inspiration from the late and great Larry Adler and play it on the harmonica. Written by my good friend FRANK IFIELD in 1962, the song I Listen To My Heart was the B-side to his first and most enduring #1 hit, I Remember You. Swedish instrumental rock group The Spotnicks recorded a guitar rendition of the tune which they called Just Listen To My Heart and that topped the European charts in 1963. 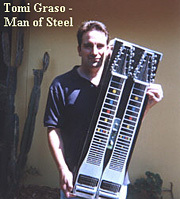 I follow the original musical arrangement from Frank’s version, produced by Norrie Paramor, but replacing the vocal with lead guitar and adding the pedal steel guitar of Tomi Graso – a country touch which I know meets with Frank’s approval! Composed by Stanley Myers and performed for the movie soundtrack of The Deer Hunter by guitarist John Williams, Cavatina has become the most easily recognised ‘classical’ guitar piece of modern times. I begin on nylon-string guitar with and arrangement based on the movie version but end up on electric guitar with inspiration from The Shadows. Co-writer Al Casey was the pianist in The Rebels. This is probably the first Duane Eddy tune I ever learnt and I still love the twang of the low strings. Instead of the sax solo, I wail a couple of verses on the mouth-harp and Kenny answers the guitar with his dobro. I met Duane in 1984, along with his lovely wife Deed and stellar saxophonist Steve Douglas in San Francisco, on the very first day I ever visited America. I will never forget their kind welcome and hospitality. Carolina guitarist Arthur Smith wrote and recorded this all-time classic tune with his band The Crackerjacks in 1948, selling nearly three million copies. It would be the first featured instrumental I would ever play on television (Reg Lindsay’s Country Homestead, 1979). Earlier, in 1975, I was taken to the Crystal Palace Hotel in Sydney where I saw Kenny Kitching play Guitar Boogie with Don Gibson’s guitarist Marvin Lanier sitting in with the band. Kenny and Marvin were spectacular, trading fours in the manner of jazz soloists, and my eyes and ears were opened to the possibilities within instrumental ‘country music’. It delighted me that Kenny features on this track with me now as we swap solos and the guitar and steel harmonise with each other. I took all the cover photos at home in Sydney. 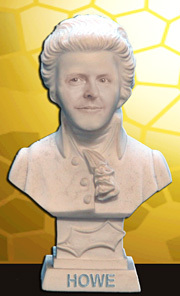 The bust of Beethoven on the front was a souvenir of my visit to his house in Vienna in 1977. Here he is more falling than rolling over (no composers were harmed during the making of this cover). 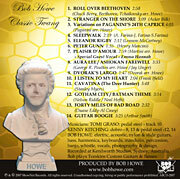 For the back cover I cheekily superimposed my face on to Mozart’s head. I wish I had that hair! 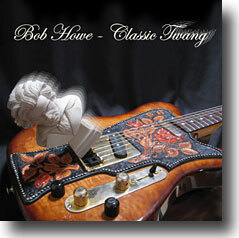 The photo of me on the disc is a self-portrait, attempting to convey the Twang! 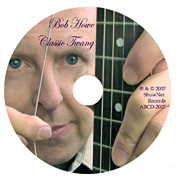 of the guitar string!I produced and recorded CLASSIC TWANG at Kenilworth Studios, Bondi Beach, Sydney, Australia, playing an Australian made Tomkins electric guitar and Tomkins electric bass, plus nylon, acoustic & slide guitars, harmonica, keyboards, mandolin, percussion, banjo, whistle and vocals. 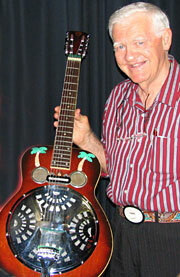 KENNY KITCHING: dobro – 8, 13 & pedal steel – 12, 14. Oxford Street West, Bondi Junction for the best gear.